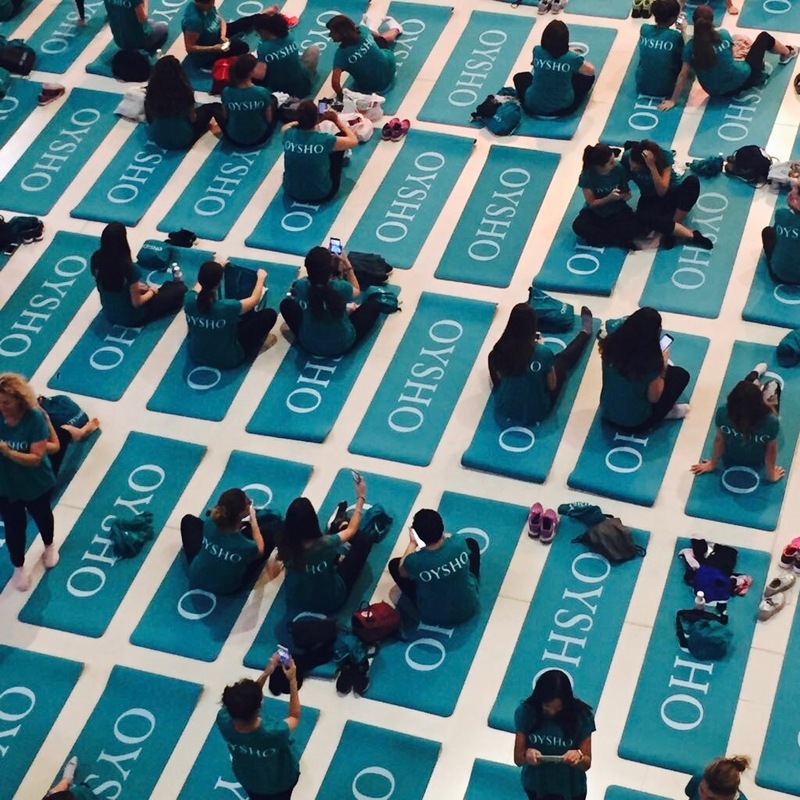 Free Yoga by Oysho was organized for the first time this year at the MNAC, creating a new experience for the participants used to the outdoor events of the past editions. The oval hall was filled with mats and yoguis ready to enjoy, learn and share this collective masterclass with Mercedes de la Rosa y Aria Crescendo. 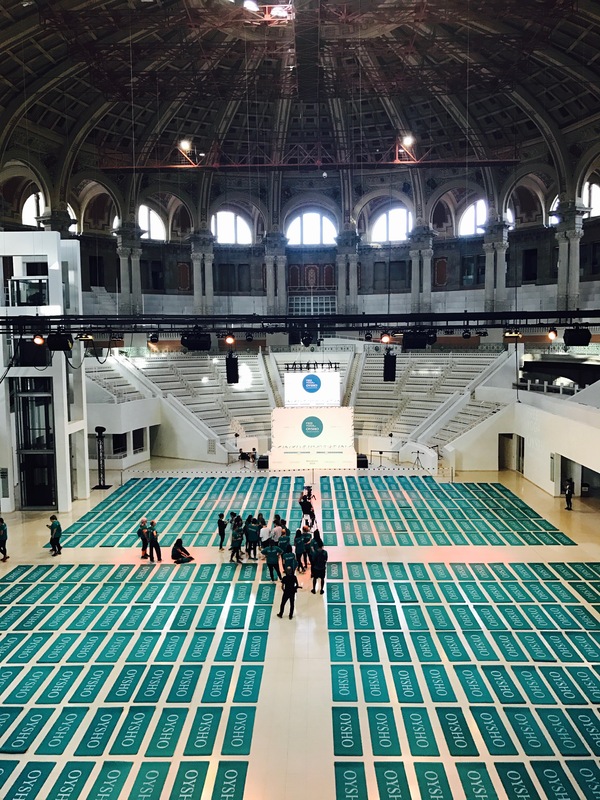 A unique environment to recharge energies on a Sunday and contemplate the dome inspired in the Basilica of St. Peter in the Vatican. 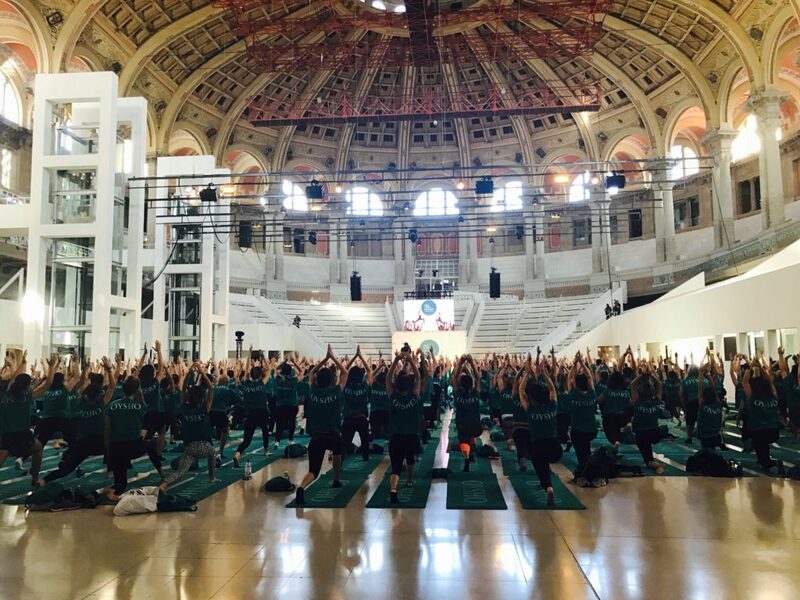 Together with Free Yoga LD Eventos was in charge of guaranteeing a smooth organization of the event.